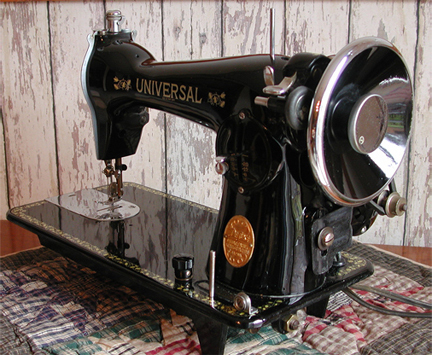 This Universal De Luxe sewing machine was found in an antique mall in Sweetwater, Tennessee during December 2006. The condition of the machine is excellent and the cabinet it belongs in is also very nice. The photo was taken shortly after Jim spent several hours polishing the black paint with automobile Turtle Wax. 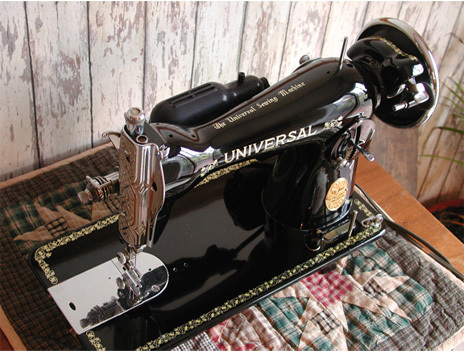 We found out that car wax will do to black sewing machines what it will do to a black car. 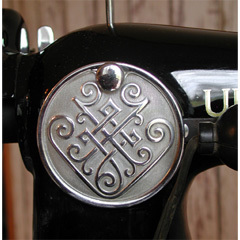 This Universal has many parts that appear identical (except for the color) to the Mercury machine which is also shown on one of our pages. 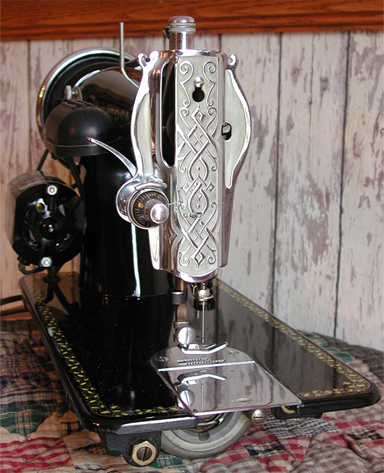 We don't have a manual or accessories for the machine but its threading and operation are no surprise if one is familiar with Singer machines. Serial number of this machine is S89157.